MPEs conducting activities at our 2019 Spring Kick Off event. The MPE Program aims to create multicultural educational opportunities and promote social awareness through workshops incorporating student experiences and academic literature of social justice education. Contact us at mpe@virginia.edu if you have any questions. To request a MPE presentation for your student organization, residence hall, or classroom or RSVP for our open workshops fill out this REGISTRATION FORM. These workshops will be offered on a monthly basis in the MSC or LGBTQ Center and are open to all students and faculty/staff. Below are the dates/times and the topics for the 4 different open workshops this semester. 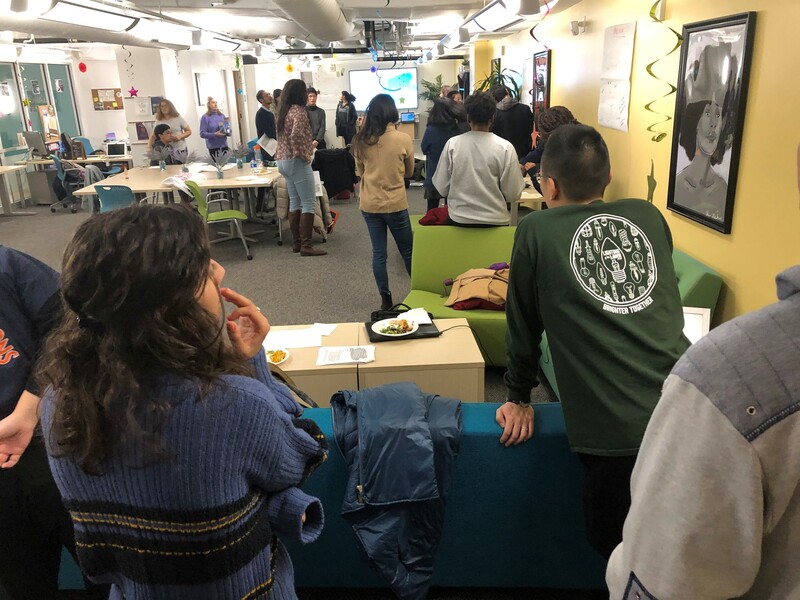 The MPE Program was created as a collaborative effort between Multicultural Student Services and Housing and Residence Life to provide educational opportunities and create spaces for continuing the conversations started by first year RAs regarding the implicit bias modules. If you are a leader/member of an organization or an instructor for a class who you feel would benefit from our workshops, please fill out the form and we will touch base to finalize a date/time. *The length of the workshop may range from 60 - 90 mins depending on the number of participants present and the engagement in the different dialogues within each activity. Description: Re-frames multicultural education around the concepts of social justice and the importance of exploration of multiculturalism through an equitable lense. Establishes shared understanding of important social justice language, terminology, and thoughts. Provides opportunities for participants to explore the impact of privilege on lived experiences and learn how that manifests in different levels of society (the personal/interpersonal, institutional, societal/cultural). Description: Explores the first level of the social justice education approach by focusing on identity exploration and manifestations of privilege and oppression on the personal and interpersonal level. Allows participants space to explore their own personal identity awareness and how it interacts with other people's lived experiences. Introduces the 3D matrix of oppression as a visual to summarize how individual perceptions of identity are influenced by unconscious and conscious attitudes/behaviors. Description: Explore intersectional experiences on a personal/interpersonal level and how institutional factors impact our personal identity development. Additionally, participants will dive into how these factors often reinforce power dynamics between dominant and minority identities. Provide a space for participants to critically think about how oppression and privilege manifest on an institutional level. Descriptions: Participants will explore how identities and experiences related to oppression are tied to their socialization throughout their lives by introducing the SJE model called the "Cycle of Socialization." Allows them to explore their salient social identities and how messages regarding those identities, minorityship, and other identity groups are learned (consciously and unconsciously) throughout their life. Provides opportunities to discuss with peers regarding how to constructively break from the Cycle of Socialization.